How did you raise awareness? “I don’t know about other people, but I always feel awkward asking for donations and don’t want to trouble people. 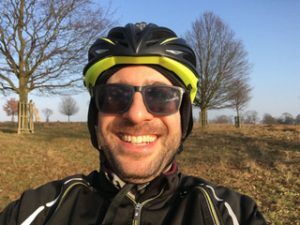 So I decided to write a blog https://4040bikeride.wordpress.com. I called it 4040 because I wanted too ride 40km in 40 rides and I was also turning 40! I just started to tell a few friends and family and before I knew it people were really excited and donating, as well as telling others. It showed me that people really want to help as well and if they can they will donate. So don’t feel afraid to ask – explain your purpose clearly and people will get on board. What was the hardest bit? Well probably cycling the final 78 miles from London to Chichester including a severe hill on the South Downs known as ‘Hell Hill. 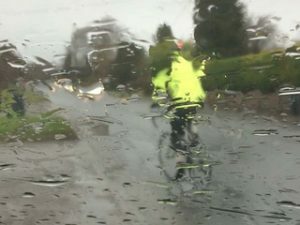 Or maybe cycling across Salisbury Plains on my own through the rain wondering if I had got lost and if I was going to ever finish. 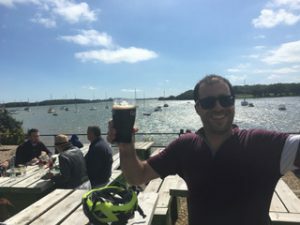 Actually part of the challenge for me was keeping going with the shorter 25 mile rides every other day to keep building up to the total of 1000 miles. Some days I really didn’t feel like getting back out there but then I realised why I was doing it because people with mast cell are the ones really having the hard time. Coping with their symptoms on a daily basis and having to maintain normal life as much as possible. I hold my ‘cycling helmet’ up to them and say well done and keep going…. So there you have it. Mike has shown it really can be done. Whatever your cause and whatever challenge you set yourself, it is easy to organise, fun to do and makes such a difference to our charity and other like us.